The Piano Studio: Pachelbel Was NOT A One-Hit Wonder - Check Out His Other Works! 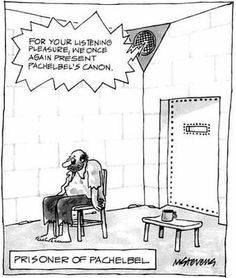 Pachelbel Was NOT A One-Hit Wonder - Check Out His Other Works! 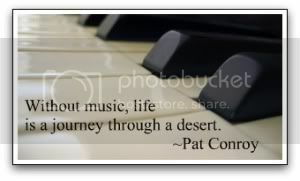 Sharing this post today from my other blog, Connections and Conundrums, which now features a Music on Monday category. My family knows that every Christmas, they're going to hear me rant about Johann Pachelbel's Canon in D. They steel themselves for it the same way I steel myself against hearing or playing this infernal piece one. more. time. The only thing worse than being locked in a room with it playing on a loop would be if the loop were "Mary Did You Know." She knows, okay? She knows! Every singer in the world has told her a million times. What really gets my goat is that the whole world now thinks the Canon in D is a Christmas piece, thanks to the Trans-Siberian Orchestra. Whenever it comes on Holly in the car, my daughter lunges for the station dial to avoid hearing me screech "NOT CHRISTMAS MUSIC!" The only redeeming thing is that when my piano students ask to play it (at Christmas, of course), I get to teach them the musical term "canon," which is not to be confused with artillery. A canon is a piece that follows a rule. 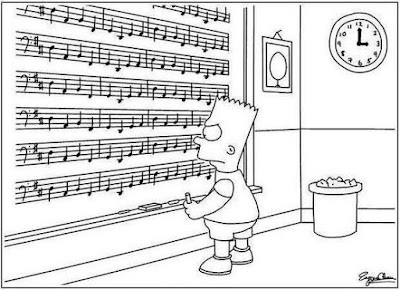 In this case, the rule is that the bass line, played by the cello, repeats the same 8 notes (the ones in the cartoon below) for the entire piece while the violins play variations. Thank God I'm not a cellist. 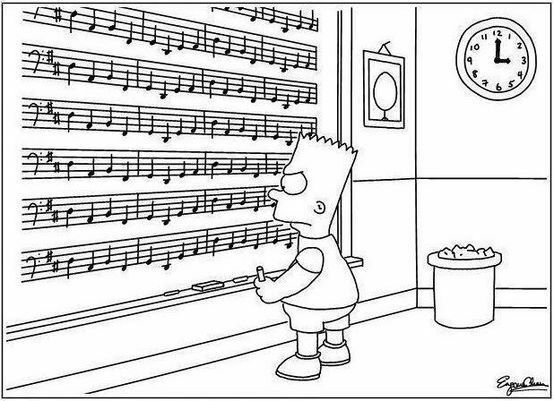 Every cellist in the world hopes this was Pachelbel's purgatory experience. The thing that bothers me the most is that so few people know Pachelbel's other works. He only became a one-hit wonder sometime in the last 40 years. Considering that he composed over 500 pieces of music, it's not fair that we reduce him to one now. Johann composed music for the organ and harpsichord, vocal music, and a few chamber pieces which include the infamous Canon. His works are staples of an organist's repertoire, and since we organists know that he is worth so much more than his one contemporary hit, we'd love for the rest of the world to get to know him better! Some of Pachelbel's famous pieces for organ or harpsichord are the Fugues on the Magnificat, or as I like to call them, Fugues Related Loosely To The Magnificat since their only connection to the chant is found in the title. The thematic material in the fugues is free-composed and not based on any of the Magnificat tones. He wrote 95 of these short pieces using all of the 8 church modes. Many of them do not include a pedal part, so these are useful as piano literature, too. We believe these would have been played immediately prior to the cantor's singing of the Magnificat chant, and would serve to establish the key. Ultimately, we don't know exactly how many ways Pachelbel might have used these pieces. Improvisation and flexibility were the order of the day, and music used in one context on one day might be used in another the next. Since we are still in the 12 Days of Christmas, this is a good time to listen or play these Magnificat-related fugues, but keep in mind that the Magnificat is used year-round in choral evensong and vespers. You can play these pieces any time. I like this group of 8 fugues based on the fourth mode. Wait, you wrote this in January and not one person has commented! Love this post, you are funny and knowledgeable about music- two of my favorite things!